These innovations see us interacting with smart buildings, lighting our way with photosynthetic lamps, sporting shoes without footprints, and living in tiny cabins made of construction waste. The innovative minds behind all of these sustainable solutions have found unique ways to make the world a little bit better. In the German town of Esslingen, near Stuttgart, a new kind of structure is being built. “Milestone” is a 6,500m2 office building like no other; its partially mirrored façade does a lot more than just keep out the weather. Milestone is covered in photovoltaics and QR codes that provide information on the town’s history, people and landscape, and within its dedicated smartphone app, you’ll see a kind of pixelated map of the area, with each pixel carrying different information on stories of the city and its inhabitants. The Living Light by Dutch designer Ermj van Oers is an off-grid lamp that harvests its energy through the photosynthetic process of a houseplant. The process is quite simple; the naturally-occuring bacteria, which breaks down the organic matter produced from photosynthesis, releases electrons and protons which flow from the anode compartment to the cathode, producing electricity (okay, it’s a lot simpler than it sounds!). 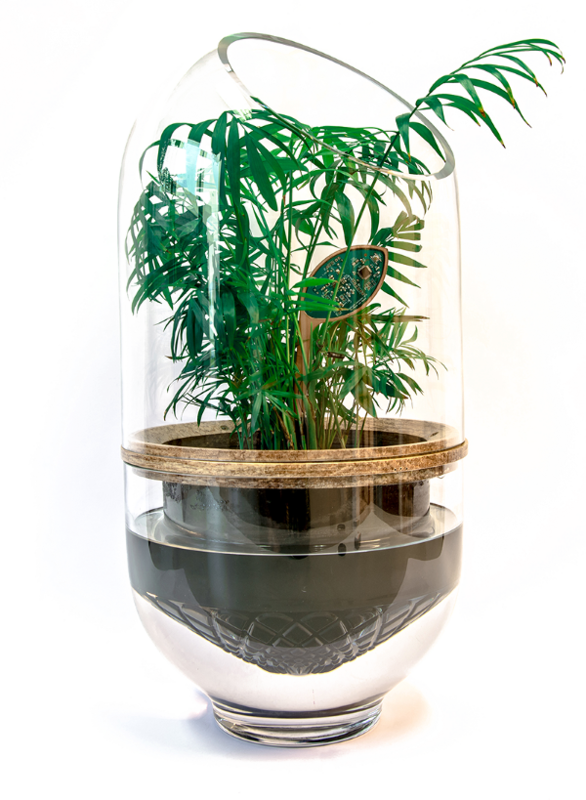 The lamp is touch-activated through contact with the leaves. The healthier the plant, the more energy you’ll receive back! The “shoe without a footprint” is the latest demonstration of making products from pollution. Together with energy firm NRG, New York firm 10xBeta have designed shoes that are made primarily from a custom polymer material that captures CO2 emissions during production. To make the sneaker, the effluent is captured and cooled, and the CO2 in it is separated out. That substance then becomes the base of a chemical that’s used to create the polymer (or plastic) that forms the shoe’s supportive foam. The minimal product will probably not make it to the market anytime soon, but it sure opens new perspectives on the aesthetics of environmentally friendly products. 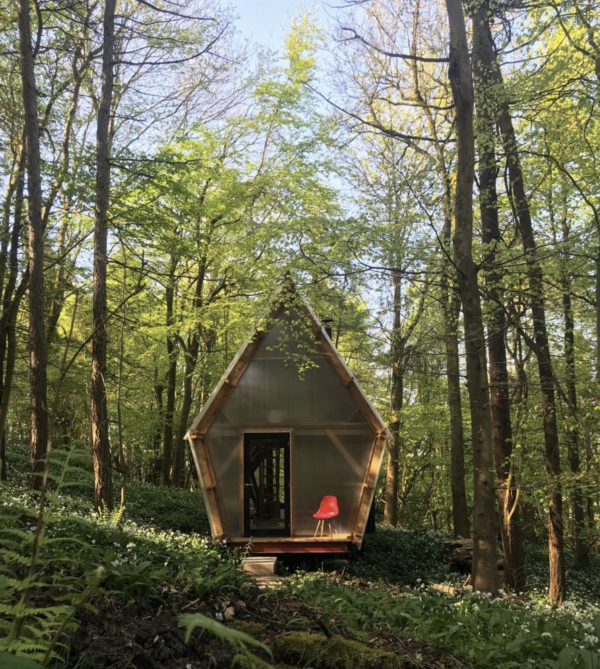 UK architecture firm Invisible Studio designed and built this mobile prototype for just £20,000 using a combination of construction waste and locally grown unseasoned timber. Named “Trailer” by its inventors, the 430-square-foot building is made from recycled materials; all of the joinery is from plywood offcuts, including the two staircases, the doors were sourced from a skip, and the building is insulated with scavenged insulation. The project aims to provide a super low cost, versatile, useable space that could act as a kit of parts for any self builder to improvise around or easily adapt.